In this Pre-Written Healthy Pets Content Bundle – articles, keywords, and royalty free images, you’ll be able to give your audience more information about healthy pets. As a Pet owner, you have an important duty to take of your pets and keeping them as healthy as possible.Keeping them healthy requires knowledge about what particular environment they are most comfortable, and also what foods that is good for them and what is bad for them. We enjoy treating our pets like children, because we love them, and we want them to be healthy and happy. And as a loving pet owner, you have to know your pets to know enough so that you will know if your pet is in trouble or not. In this content bundle, you’ll be able to teach your audience how to keep your pet healthy. When they know how to keep their pets healthy, they’ll gain all the benefits of making their pets free from any sickness. A pet owner wants to keep his pet healthy at all times but they have no idea what they can do and can’t do to keep their pets healthy and this content bundle will help them discover they have to do. 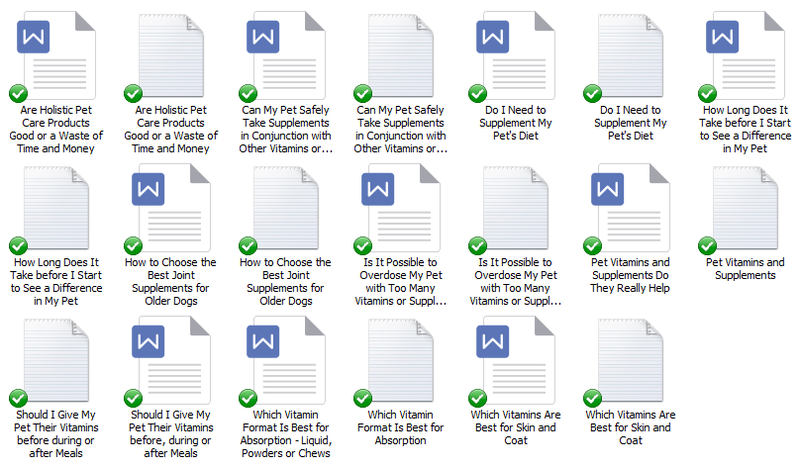 The Pre-Written Healthy Pets Content Bundle will help bring in traffic and readers to your blog because you’ll be talking about topics that people are searching for – how to keep your pets healthy. 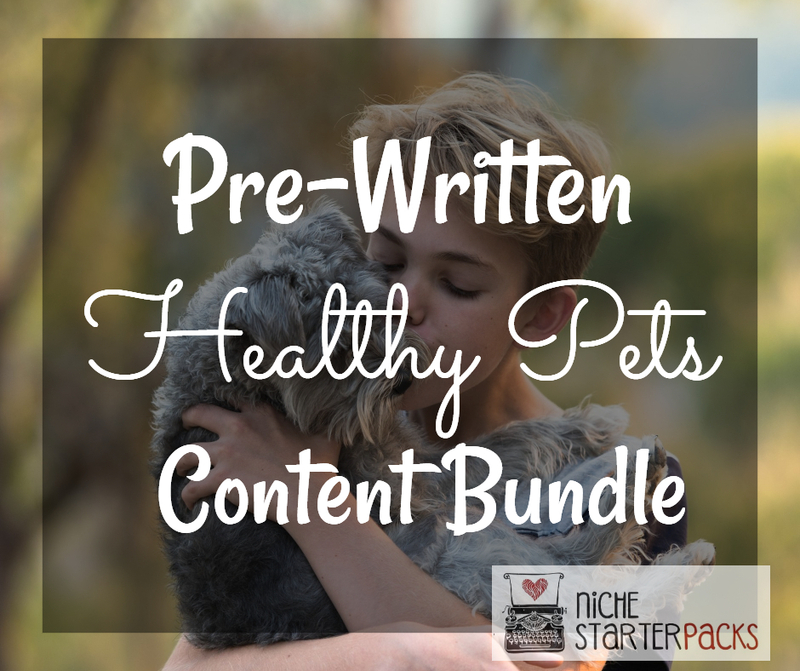 The Pre-Written Healthy Pets Content Bundle will help you teach your audience about keeping your pets healthy. Get It All For $17! 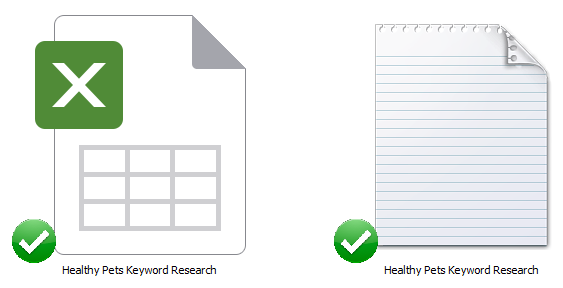 I’ve come up with 200 long tail keywords all related to healthy pets. You’ll find some of these are what people like to call low-hanging fruit keywords while others have more searches.